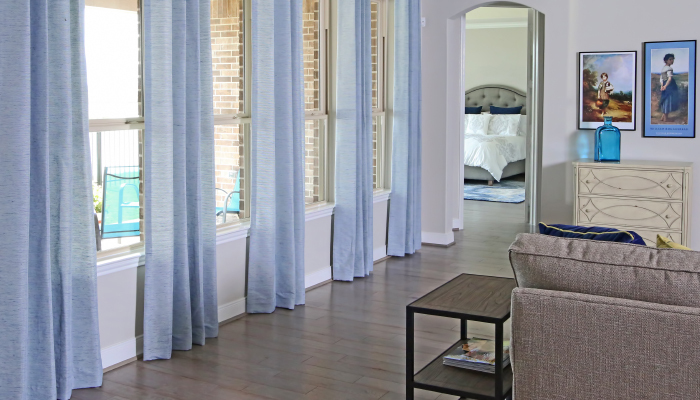 Professional, custom-tailored drapes can transform not only your windows, but the entire space. Victoria Cohen works closely with clients in a collaborative process to determine whats most ideal based on taste, color and budget. She adhere’s to the combination of her artistic eye and formulaic process to develop the perfect space. 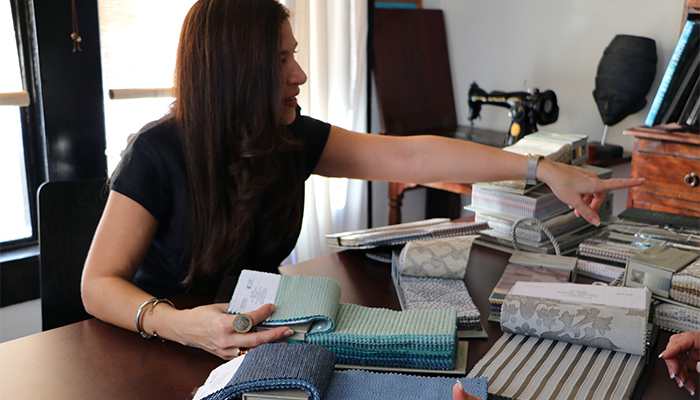 During the initial complimentary design consultation, Victoria will present an assortment of fabric swatches most ideal for your space, make recommendations based on your style and budget, and take measurements to formulate a quote. Ready to get started? Book your complimentary consultation today! 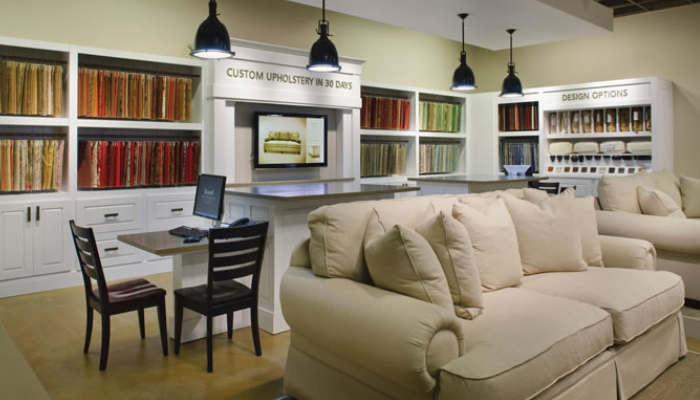 Houston Draperies has worked within residential and commercial spaces for nearly 20 years. 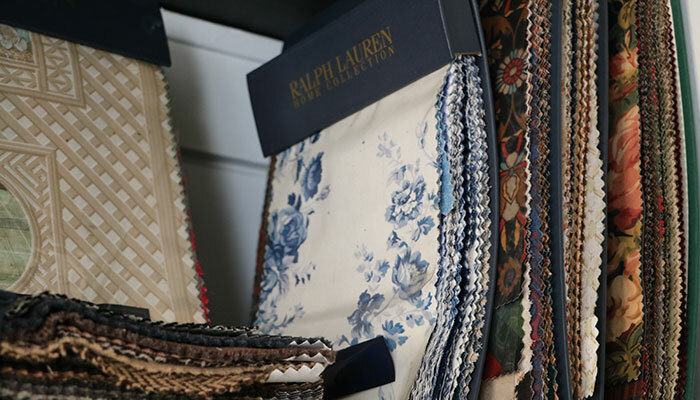 As your creative partner, Victoria Cohen of Houston Draperies, will discuss with you how to improve your home or business and enhance the overall experience. The same careful planning and attention to detail is taken into account when designing a space as small as a guest bathroom or commercial build-out. Color, textures, and patterns have an important role in human psychology and its’ accompanying emotions. They are responsible for creating feeling and depth, and they reflect personality or identity. Through thoughtful consideration, we’ll discuss surfaces, textures, textiles, finishes, colors, and any other visual element to create a combination which inspires and comforts. Guided by principle of smart design concepts and space utilization, we seek a striking balance between fresh expression and timeless motifs. We aim to maximize the functionality of your space while accentuating the most important assets. Creative designer, Victoria Cohen, at Houston Draperies will discuss your ideas and desires to develop an area which functions and flows exactly as you want it to. Ultimately, we understand what design compliments your décor and are happy to recommend different options based upon the windows the space, and your budget. Ask about interest free financing for up to 12 mo.